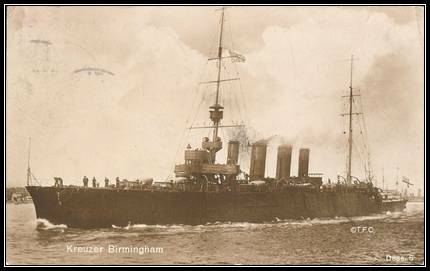 The Light Cruiser that sunk the German submarine U-15. 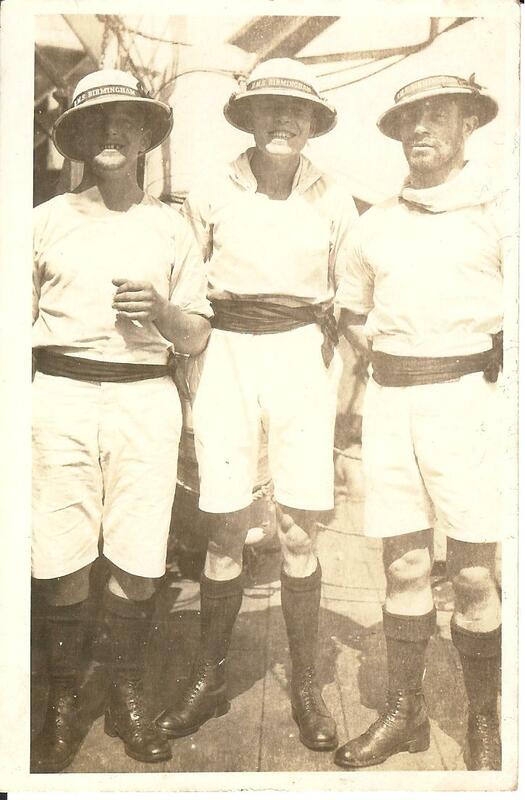 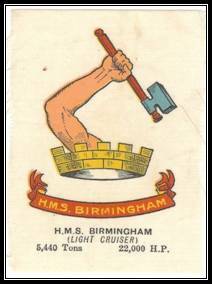 Manned to a large extent by Birmingham men. 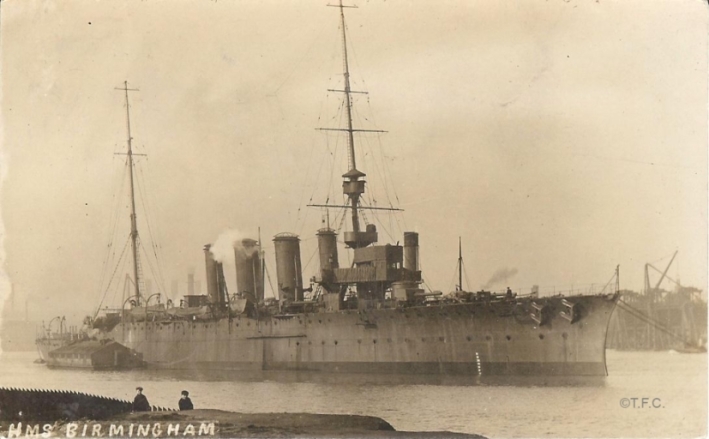 HMS Birmingham 27 June 1914 without the dockworkers, barge and shoreline. 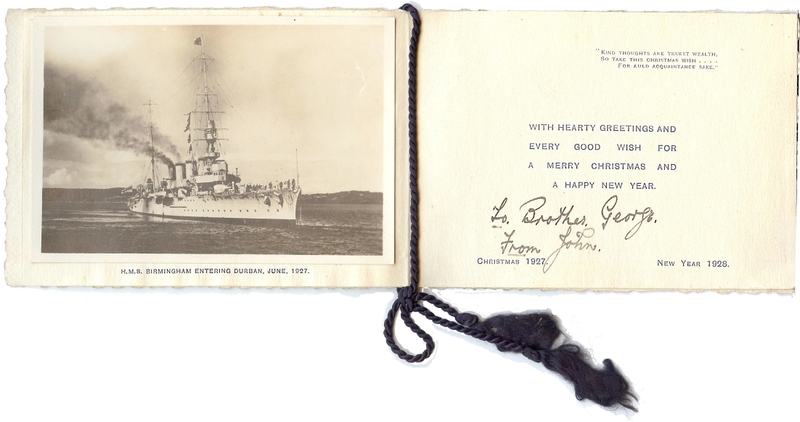 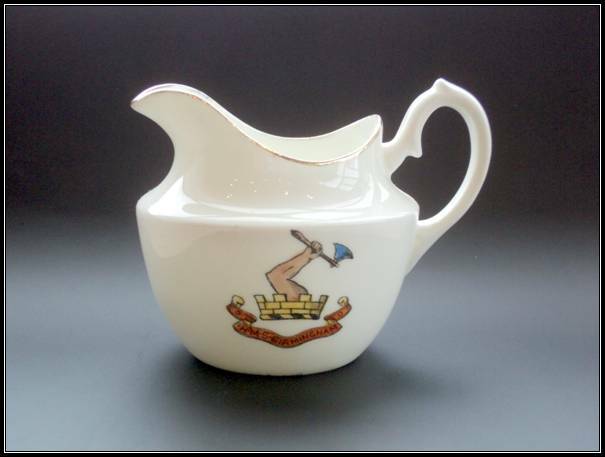 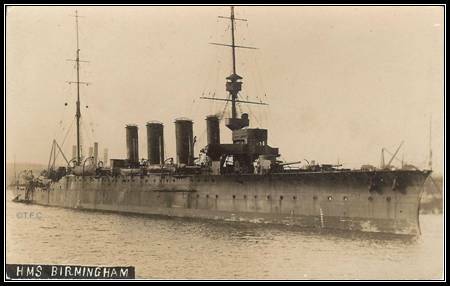 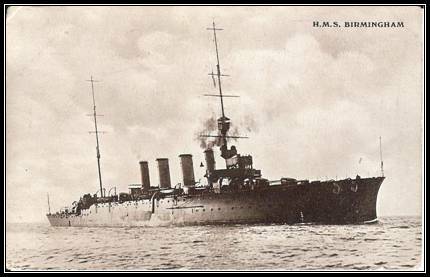 For other ships of the same name, see HMS Birmingham. 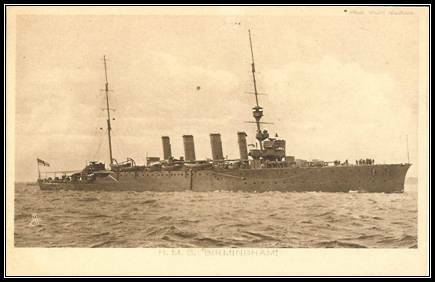 HMS Birmingham was lead ship of the Birmingham group of three ships of the "Town" class of light cruisers built by the Royal Navy. 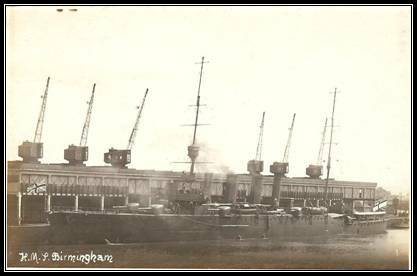 Her sister ships were Lowestoft and Nottingham. 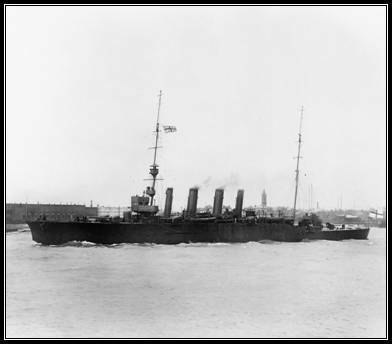 The three ships were virtually identical to the third group of "Town" ships, but with an additional 6 in (150 mm) gun worked in on the forecastle. 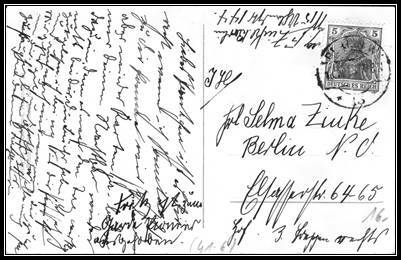 Also refer to references below. 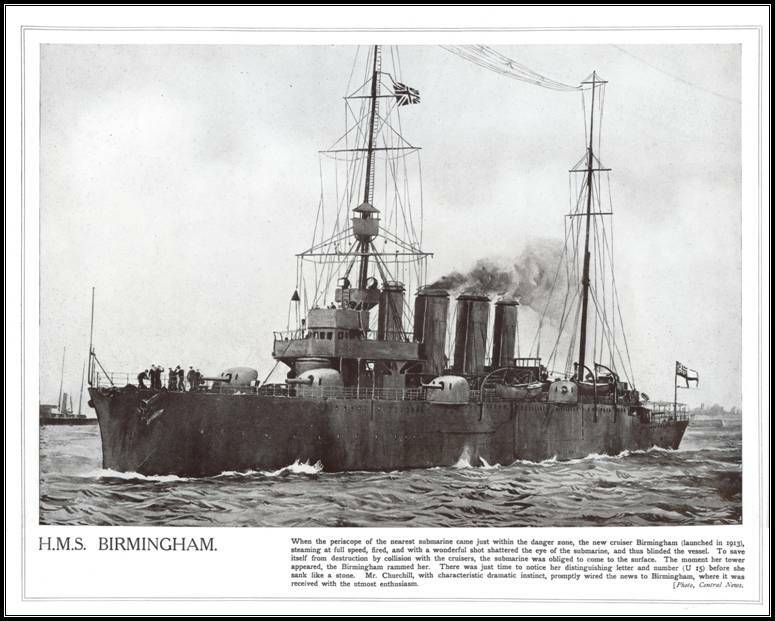 Birmingham was built at Elswick, launched on 7 May 1913 and completed in January 1914. 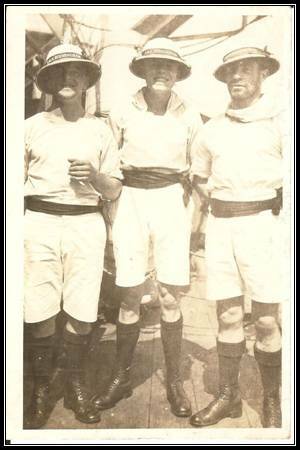 She joined the 1st light Cruiser Squadron of the Grand Fleet in 1914, visiting Kiel in June that year. 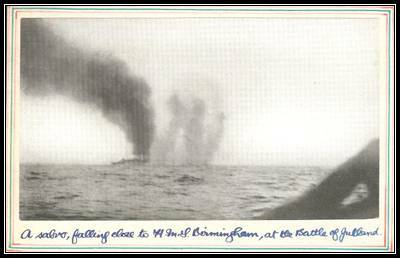 On 9 August 1914, she spotted the German submarine U-15, whose engines had failed as she lay stopped on the surface in heavy fog, off Fair Isle. 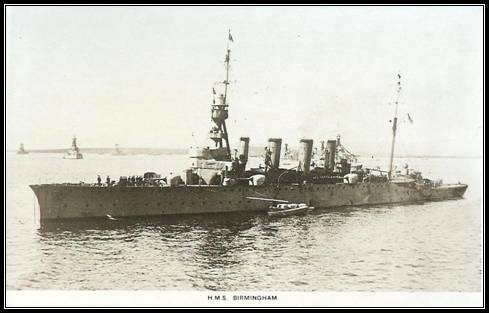 The crew of Birmingham could hear hammering from inside the boat from attempted repairs and so fired on her but missed. 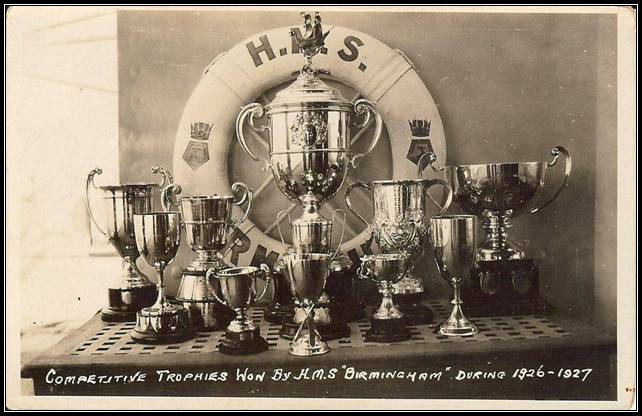 As the U-boat began to dive, she rammed her, cutting her in two. 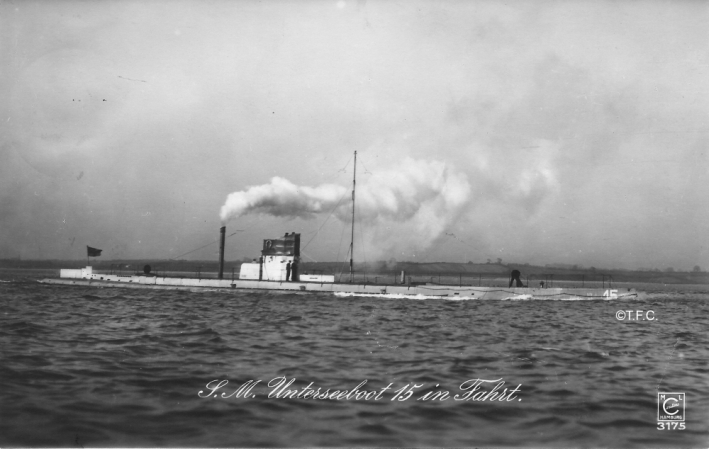 U-15 went down with all hands, the first U-boat loss to an enemy warship. 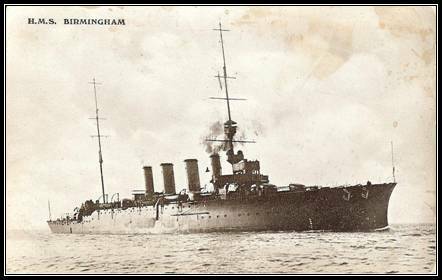 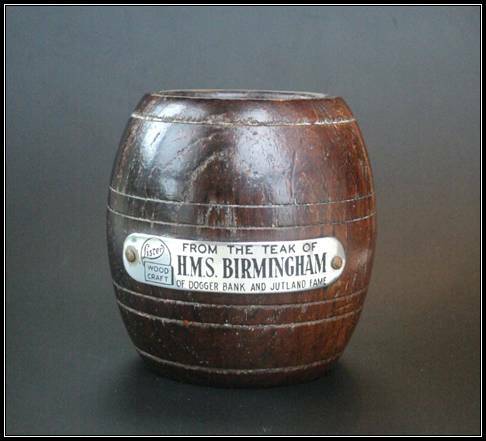 Birmingham also sank two German merchant ships that year and took part in the Battle of Heligoland on the 28 August, and the Battle of Dogger Bank in January 1915. 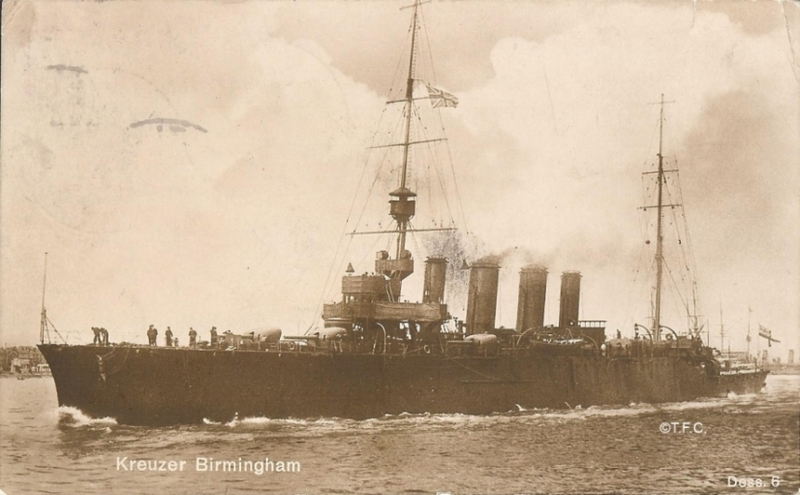 Having swept away the periscope and conning tower of the German submarine U15 with a salvo of six shots from the Birmingham’s guns, Captain Arthur Duff ordered the cruisers engines to be set at full speed. 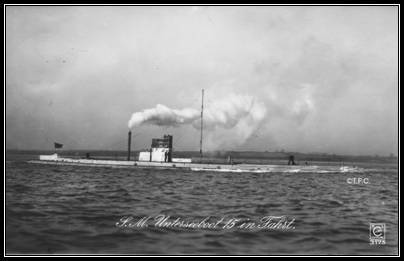 With a turn of the helm she was brought round with her bows pointing straight at the disabled submarine. 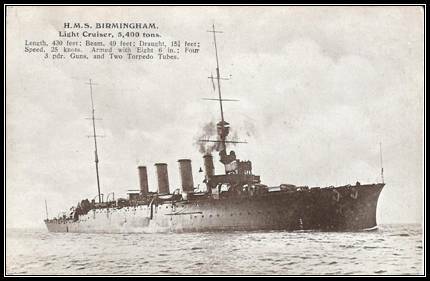 Then dashing forward at 25 miles per hour the 5,400 ton cruiser rode into U15, which rolled over and sank to the bottom of the sea with its crew of three officers and twenty men. 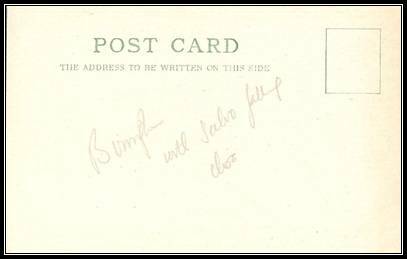 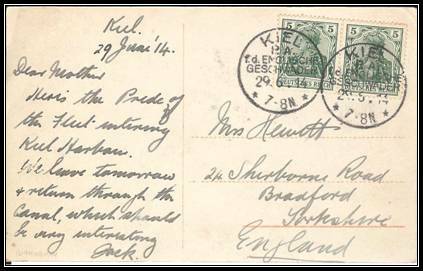 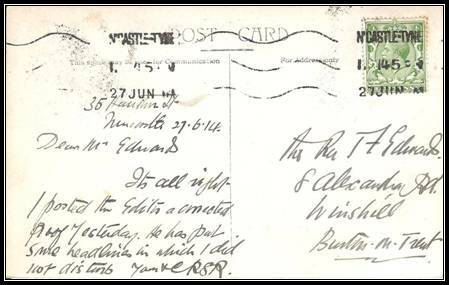 Original and unique postcard published and produced by Oscar Parkes. 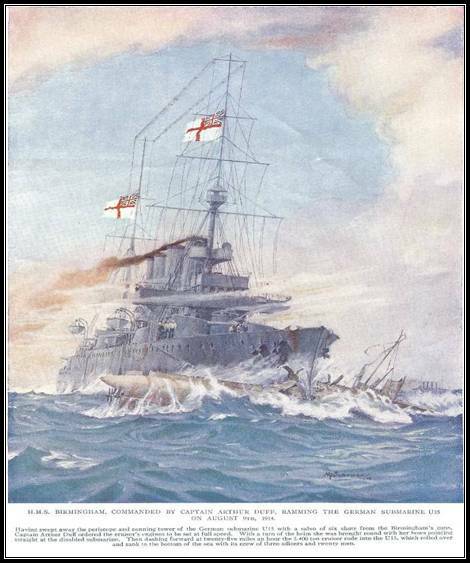 Parkes was the Editor of Jane’s Fighting Ships until 1935.The image shows HMS Birmingham of the Royal Navy as a German salvo falls close alongside at the Battle of Jutland /Skagerrak. 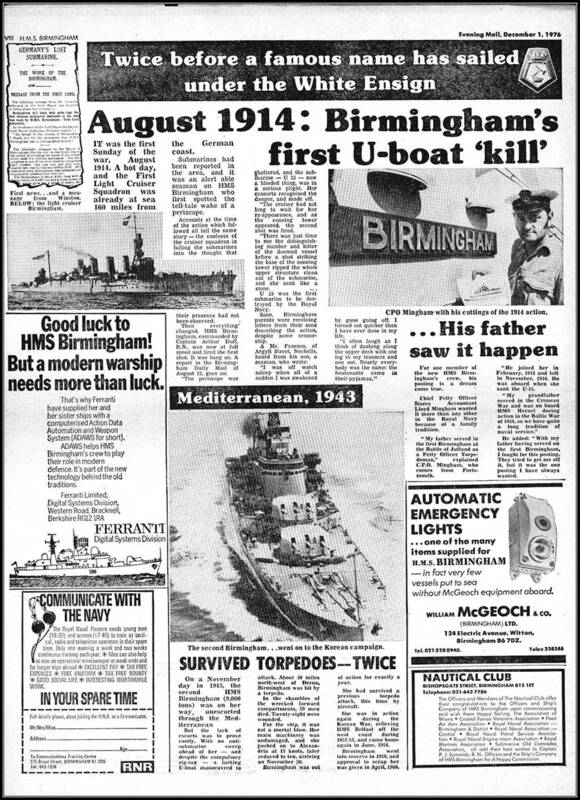 The ship is named with action detail below the image. 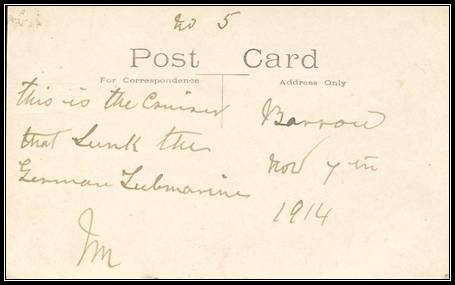 On the back Parkes’ pencil notation. 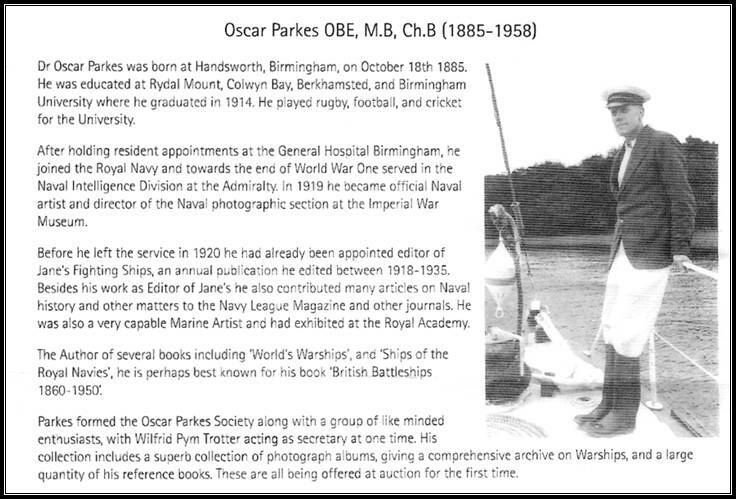 Below is Oscar Parkes Biog. 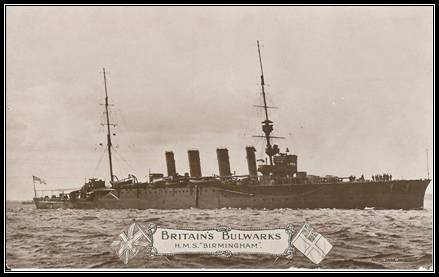 In February 1915, she joined the 2nd Light Cruiser squadron, attacking a U-boat on 18 June 1915 without success. 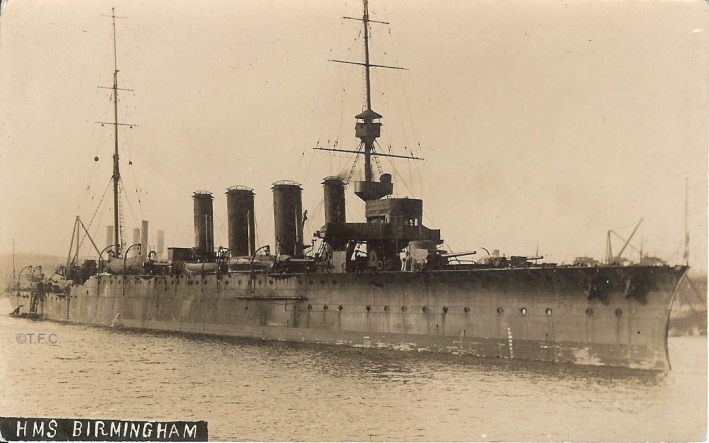 She also took part in the Battle of Jutland as a member of the Second Light Cruiser Squadron, during which she sustained damage caused by splintering during the night of the battle. 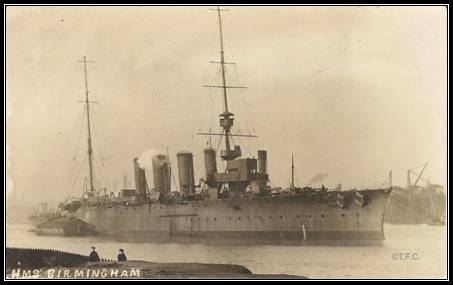 After the First World War, she was flagship to the 6th Light Cruiser Squadron in 1919-1920, after which she was transferred to the Nore (mouth of the Thames estuary) from 1920-1922. 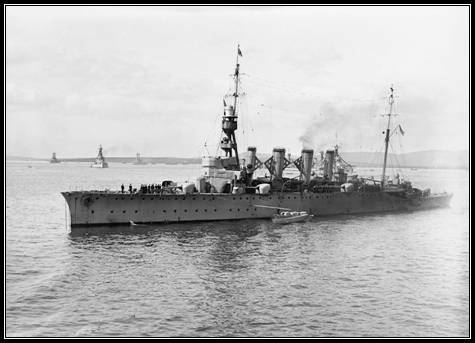 She was recommissioned in November 1923 to the Africa Station with the 6th Light Cruiser Squadron as Flagship, relieving Lowestoft. 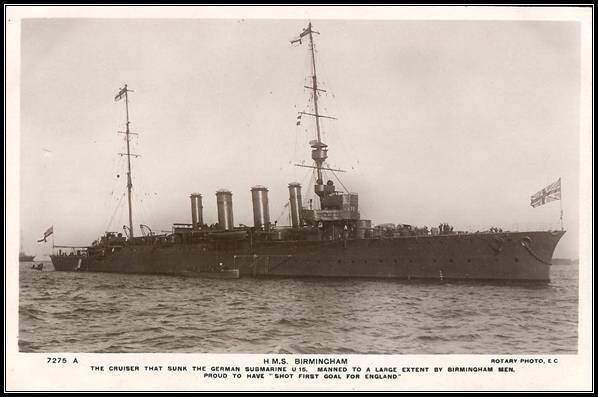 She then continued to serve in foreign stations until being sold in 1931. 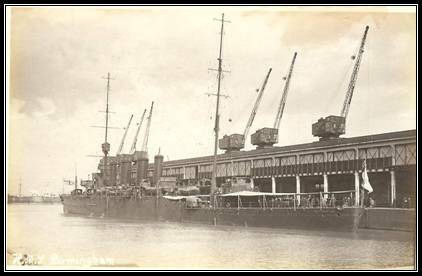 She arrived at the yards of Ward, of Pembroke Dock, Wales on 12 March that year to be broken up.